Our product range includes a wide range of intelligent ethernet thermometers. Since our inception, we are manufacturing and supplying Intelligent Ethernet Thermometers to the clients successfully. 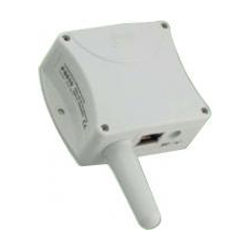 It works by measuring ambient temperature and maximum four external temperature cable probes. Durable plastic case is made for casing the product. Using advanced tools and technologies, we offer these thermometers in reasonable and affordable price range that is in compliance to set industrial norms and standards. Manufacturer : Comet System The Ethernet Thermometer is designed for ambient temperature measurement and measurement of up to four external temperature cable probes. Measurement in degrees Celsius and degrees Fahrenheit supported.